The Capel Finesse Santorini Collection was inspired by the striking landscape scenes that Kevin O-Brien captured while on holiday. These long-lasting all-weather rugs are infused with warm colors and shapes found in both sea and sky. UV protected. 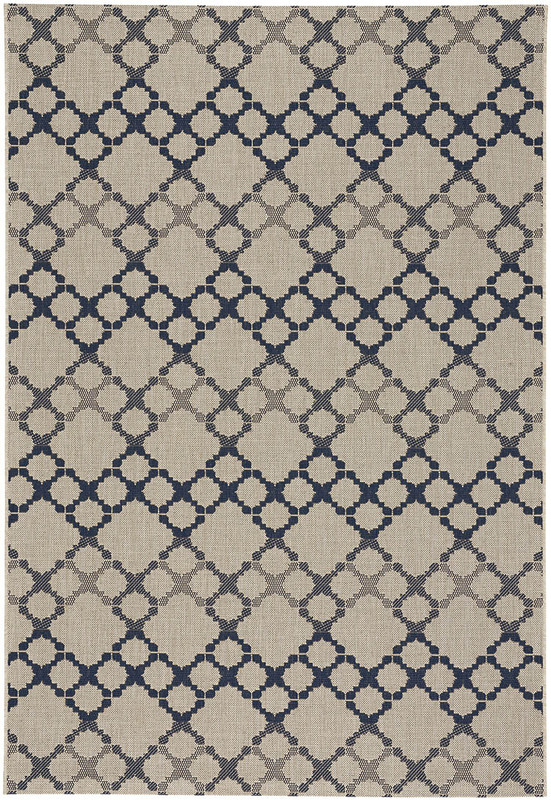 The Santorini style, a member of the Finesse Collection, is a olefin, outdoor rug design from Kevin O'Brien and Capel Rugs. Finesse-Santorini rugs have a machine woven construction.